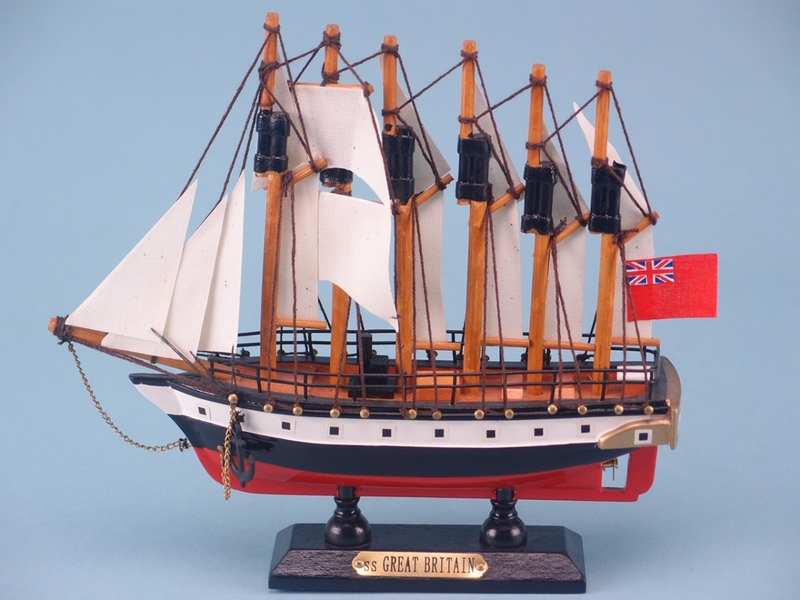 This beautiful handmade model of the legendary SS Great Britain measures at 20 by 18 centimetres and comes with a wooden stand for easy displaying. Built in 1843 as a transatlantic passenger ship, the SS Great Britain was the first ever vessel to combine an iron hull with a propeller. She was the first steamer to cross the Atlantic Ocean – a feat it achieved in just 14 days. Sir Jack Arnold Hayward paid for the vessel to be repaired in 1970. It was then returned to the Bristol Dry Dock where it is still open to visitors as a museum. 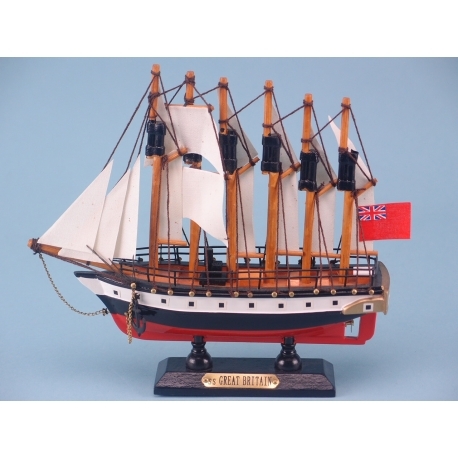 This high quality wooden model of the SS Great Britain has been handmade and will be a fantastic addition to any room with a nautical theme.